Hey, they're makin' sandwiches over there! 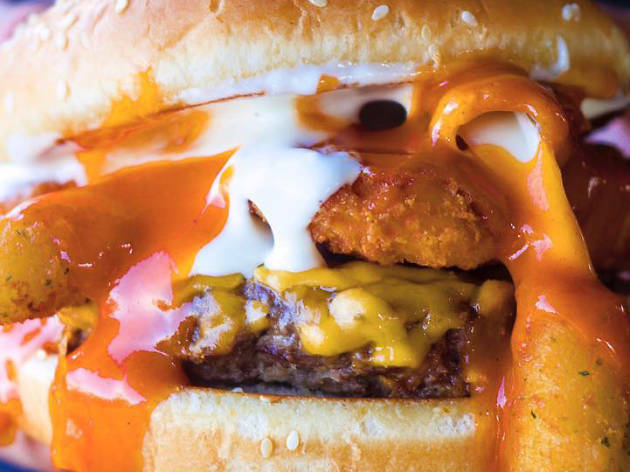 These New Yorkers know how to pile it on, whether it's a sandwich, a burger or a mountain of loaded fries. 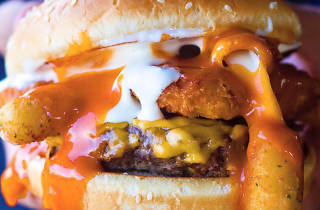 There are deli standards, plus delicious abominations, like mozzarella sticks on a burger. There are also "fat sandwiches" made on extra wide hero bread, as well as "fat fries" that come in appetizing styles such as bacon cheeseburger, BLT ranch and pepperoni pizza.